Be it developing or overhauling your website, you have to choose a specific WordPress theme. With almost endless range of themes offered, it is quite easy to get confused with a lot of choices. Whether to stick with a specific theme or look for a theme framework is still a debate. 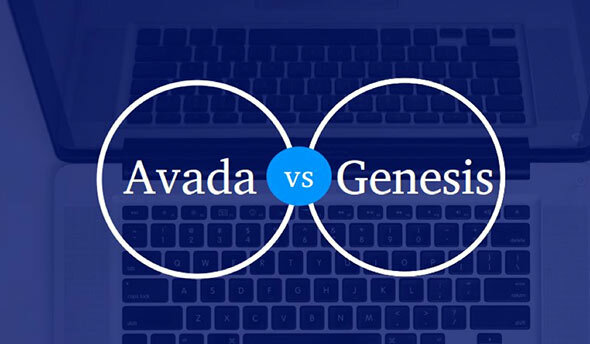 By considering it, let’s compare two of the most popular themes – Avada and Genesis. Genesis by StudioPress is the most widely used, famous theme framework preferred by designers, developers and end users as well. Like other frameworks, it is based on your WP installation and controls overall features, design and functionality. Avada by ThemeFusion is the best theme available on ThemeForest, the one-stop theme store. This multipurpose theme is loaded with page templates, features, and customization options and settings that you can customize to develop any kind of website without having to use any coding skills. It is a parent theme looks just out of the box. It is responsive, clean theme which has great foundation for your site. It has huge range of child themes to customize the look of your site. They can easily match into different categories like magazine-style, enterprise, corporate, real estate and photography. The complex flexibility is the best part of this theme. You can develop almost any design. It has variety of demos designed for various websites, such as fashion, travel, churches, architecture, nonprofits and lifestyle. It is an HTML5 based developer-friendly theme. It has 100% responsive themes which look best on all sizes. It has a lot of customization options along with 6 page layouts. You can customize appearance of content and header; perform basic visual changes, enable/disable breadcrumbs and even more from main dashboard. It is also a responsive theme and it has widest range of features to give you an easy, complete customization control on all parts of website. Some of the great features are solid coding, pre-built page templates, in-built sliders and consistent updates. Users can copy/paste the code, import demo content, or use Fusion Builder, to create pages according to your specifications with drag and drop elements. The control panel gives extensive options and ability to tweak all the aspects of your site. You can create rich pages without any WordPress limits. But the flexibility can also lead you in trouble. The animation effects and sliders can go little overboard and result in overblown, slow-loading website. Genesis framework costs $59.95. It is also available at $99.95 with child theme. For developers, the Pro Plus All-Theme Package is also available. For $499.95, it’s a great deal which includes framework with every child theme, along with third party themes. You can save up to $1000. If you are a repeat customer, you can also avail a discount and buy child themes separately. Once you boy Genesis or any or all of its child themes, it can be used on as many sites as you like. Avada comes for one-time fee, $59, from ThemeForest. It consists of variety of design demos. But it is available only for one website. You have to buy a fresh license to use it on other sites. By buying Genesis, you quickly get endless access to their 24×7 support staff, including Genesis and WordPress experts who answer their queries within 24 hours on weekdays and 48 hours on weekend. You can also access membership forums to discuss issues with fellow users or book a developer. You can access documentation section to get tutorials and resources. For developers, it also has a dedicated section. ThemeFusion has developed Avada theme only till date. Hence, they are focused only on this theme and they are doing it well. Their support services are second to none. The theme features knowledge base, documentation along with video tutorials. They are reputed for providing best customer support. They respond to emails within 24 hours on weekdays and 48 hours on weekends. Both Genesis and Avada cost almost the same. Avada has all design demos to give total flexibility but it is for one time only. On the other side, you have to buy child themes individually on Genesis, but it provides unlimited use. To develop a single site, Avada is best but, for designers and developers, Genesis gives you the edge. For beginners looking for off-the-shelf, premium theme which is SEO friendly, Genesis is the best choice. But Avada has great functionality and features and it focuses on ease of use, simplicity, efficient codes, and clean interface. Kerin Miller is an experienced WordPress developer at Stellen Infotech, a leading custom WordPress development company. She is a passionate blogger, who loves to share insightful posts with her readers. You can follow Kerin on Facebook, Google+ and Twitter.